By DEVISE ENGINEERING S.A. based in Athens, GREECE. Designed as a second stage nitrification and denitrification (with ABC-N), the NitriFAST is to meet higher levels of nitrogen reduction for systems with direct discharge into lakes, streams and lagoons or properties with higher levels of ammonia influent. 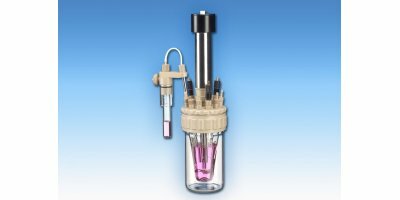 BIOdek vertical flow fills form vertical channels and have open interfaces. Thus the sludge of thick biofilms does not accumulate and solids are easily expelled. The fill’s reinforced edges increase the bearing capacity and give a high resistance to erosion. The most common volatile organic compounds, or VOCs, found in water are chlorinated solvents (septic tanks, cleaning products, plastic materials, degreasing agents) and fuel components. If these compounds are improperly disposed of, they can easily leach into both groundwater and surface water supplies. 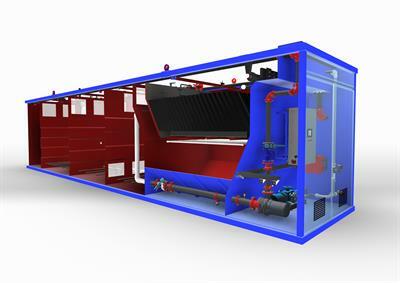 The DELPHINcompact is a fully biological small scale wastewater treatment plant for the treatment of domestic sewage with the fixed-bed process. 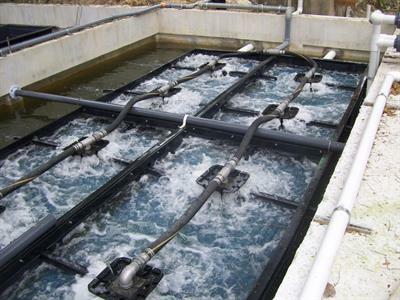 The submerged and aerated fixed-bed provides ideal conditions for a stable biological process even during under load or heavy load variations, which are typcial for small households and holiday homes. 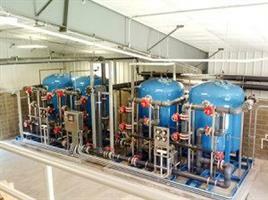 By Delphin Water Systems GmbH & Co. KG based in Buxtehude, GERMANY. 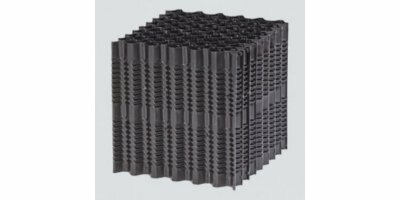 Dura-Pac is Raschig USA's modular PVC sheet media capable of withstanding loads in excess of industry standards. 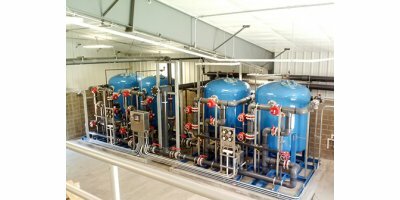 Available with surface areas of 30, 31, 40, 48, and 68 ft2/ft3 and in vertical or cross-flow configurations, Dura-Rac is ideal for trickling filter applications, submerged fixed bed applications and oil/water separators. By Epur S.A. based in GRACE-HOLLOGNE, BELGIUM. The Cleartec system consists of a submerged, fixed-bed, polypropylene textile media which promotes attached growth biomass in IFAS and FBBR applications. The Cleartec system is a highly efficient IFAS/FBBR solution. Cleartec is a registered trademark of Langendorf Textil GmbH. By Ovivo (Formerly Eimco Water Technologies) based in Salt Lake City, UTAH (USA). 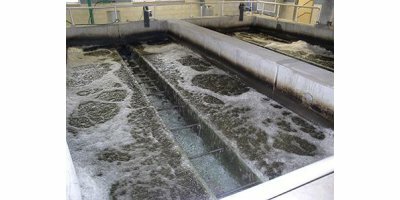 Cleartec BioCurlz is used as a completely submerged fixed bed in the biological stage of a wastewater Treatment Plant. The 3-dimensional lace structure provides growth surface for the active micro- organisms without flow restrictions. By using fine bubble aeration for supplying oxygen to the microorganisms a vertical flow be obtained. Biodisk’s are rotating fixed bed reactors that are partially submerged in the wastewater. The biomass comes into contact with the air and wastewater alternately by the rotation of the disks. The contaminants are degraded by biochemical processes. By Mecana Umwelttechnik GmbH based in Reichenburg, SWITZERLAND. By TIA – Technologies for Industrial-Wastewater Treatment GmbH based in Breitenfelde, GERMANY. By Concepts India Pvt. Ltd. based in Sanpada, Navi Mumbai, INDIA.